A stunning mid sleeper with pull out desk and chest of drawers, a truly designer bed from Stompa. Stylishly finished in Silk White and Solid Oak with beautiful curved features, this bed is a great space saver with a sturdy ladder, deep steps and hand holes for safe climbing. 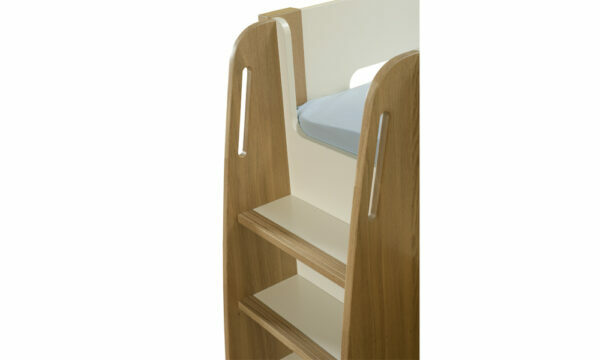 The ladder incorporates a useful integrated storage drawer on the bottom step and the underbed clearance is 72.5cm. 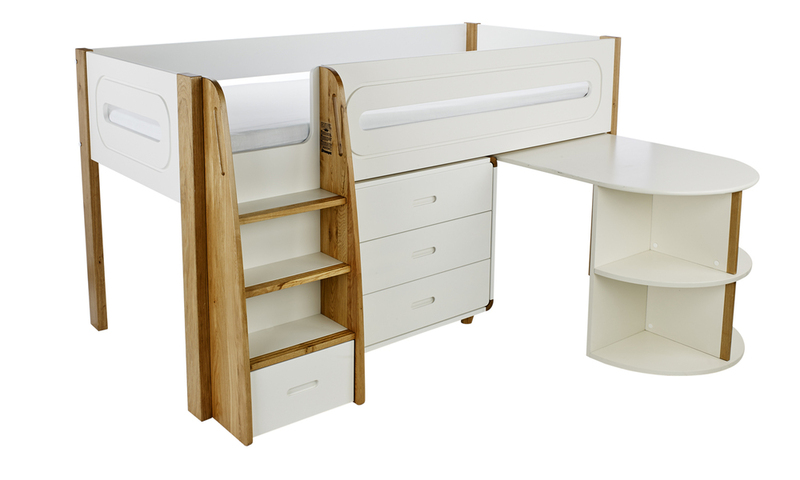 The co-ordinated pull out desk with integrated shelving offers the perfect study space and the desk can be cleverly tucked under the bed when not in use. 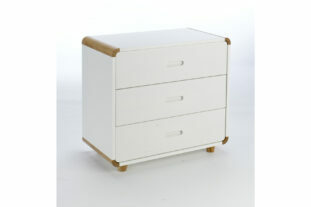 The silk white Chest of drawers can be positioned next to the desk or at the end of the bed. 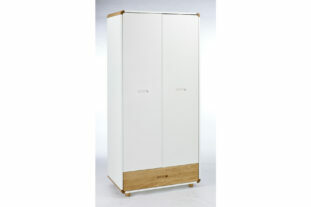 Matching furniture is available in the Radius range. 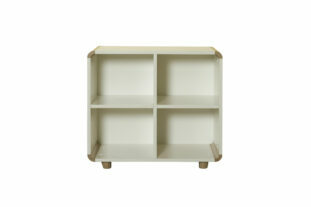 * Manufactured in Europe from a mixture of MDF, solid pine and solid oak. * Stompa products are made from a combination of high quality, solid pine, solid oak and mdf with a silk white lacquered finish. Solid pine is a natural product that contains knots which may darken over time due to the resin and exposure to direct/indirect sunlight. 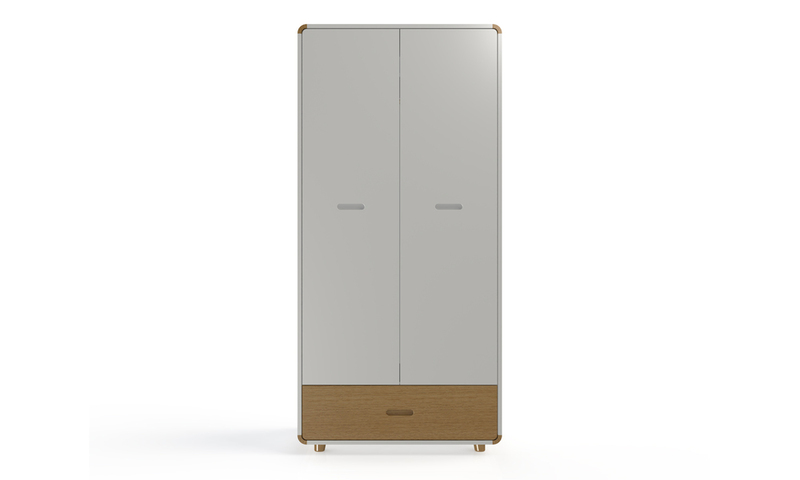 This is not a manufacturing fault but a natural characteristic of wood.